Looking for a used vehicle that is nearly new in Alberta? Do you want something that still has a factory warranty? Something reliable? Something affordable? You can have all that right here. At Red Deer Motors, we have a huge inventory of used vehicles that covers all makes and models including Ford, Dodge, Chevy, GMC, and more. 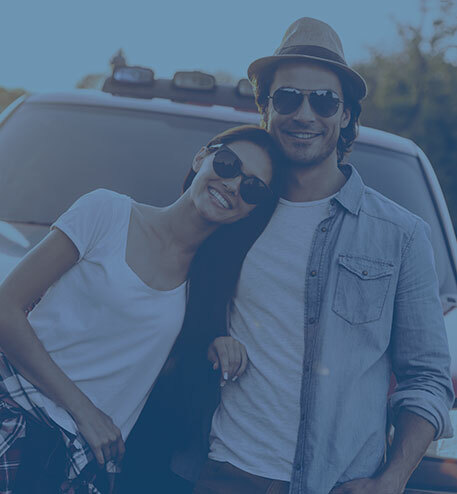 We have cars, trucks, and SUVs, and we can get you into a great vehicle today. We serve a wide area including our hometown of Red Deer and surrounding areas like Fort McMurray, Edmonton, Calgary, and more! We have been serving Edmonton and Calgary for well over a decade, and our owners have over 50 years of experience in automotive sales. We are not just a car dealership though, we are a part of this community, and we proudly support local organizations including minor league hockey and baseball teams. Come to Red Deer Motors when you want to buy or lease a used vehicle. You will always leave happy. Red Deer Motors is strongly committed to providing our community of customers with a unique and positive purchasing experience. We will sell or lease our next to new vehicles in a welcoming and comfortable environment, always striving to establish long term relationships with our customers, and instilling the confidence to refer their family and friends to experience our difference. We had an amazing experience buying a new car today at Red Deer Motors. Thank you to Steve Vines who helped us find the perfect vehicle and Andrew Lernowich for helping us with the financials! Would 100% recommend. I wanted to thank the manager and sales people here. Bought my car in October and loved it. Had recent issues and despite no obligation to help out Richard went out of his way to help me and the issue I was having with the car. Great to deal with and Thank You to you and Kaltire Red Deer. Quality customer care. Barry, Rich and Andrew provided great service as usual. Very pleased with the vehicle and how I was taken care of. Would buy vehicles again from here. Thanks guys!